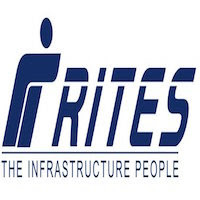 RITES Jobs Recruitment Notification 2019.Rail India Technical and Economic Service inviting applications for the positions of Engineer.Interested and Eligible candidates can apply for the positions. 1. Minimum Educational Qualification: Full time BE/B.Tech/B.Sc (Engineering) Degree in Electronics Engineering/ Electronics & Telecommunication Engineering/ Electronics & Communication Engineering/ Electronics & Electrical Engineering/ Computer Science/ IT/ Computer Engineering/ Electronics & Instrumentation Engineering. The applications received shall be screened for eligibility. The candidates may be shortlisted for selection. The company reserves the right to shortlist the number of candidates for selection out of eligible candidates. Based upon the performance in the Written Test, and fulfilling the conditions of eligibility; candidates shall be shortlisted for Interview. 1. Interested candidates fulfilling the above laid down eligibility criteria are required to apply online in the registration format available in the Career Section of RITES website, http://www.rites.com. While submitting the online application; the system would generate ‘Registration No.’ on top of online form filled up by the candidate. Note down this “Registration No.” and quote it for all further communication with RITES Ltd.
2. Application Form along with above documents are to be sent through post to “Assistant Manager (P)/Rectt., RITES Ltd., RITES Bhawan, Plot No.1, Sector-29, Gurgaon – 122001, Haryana”; within the date specified for the purpose.